I think it’s fair to say that business owners generally don’t have a lot of time for office administration. 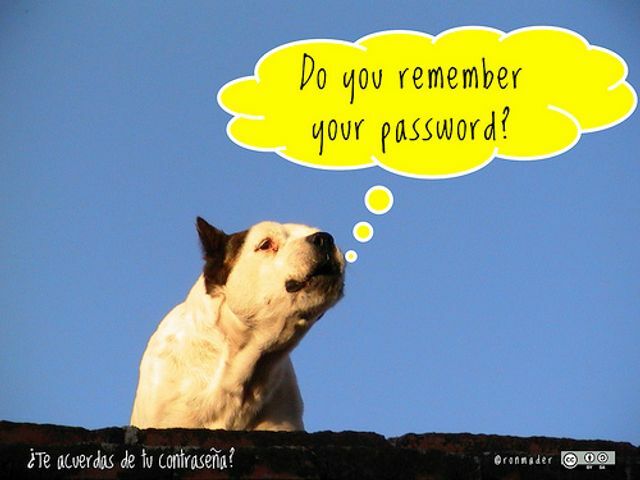 Passwords are often low on our lists of priorities. Yet on most websites and phone applications we have to supply a password when setting up an account. In fact, we’re constantly reminded that using the same password for all these different accounts is not a good idea, due to the threat of a possible data leak or a hack that makes us financially vulnerable. But it’s time consuming and burdensome to come up with a new password suggestion that goes beyond your favourite number combined with your immediate family and friend’s names. And then even more irritating to have to keep changing it on a regular basis. Finally, however, there may be an easier way for us mere mortals who struggle to remember 8 digit passwords with a mix of upper and lower case letters and often special characters to boot. The proposed solution is called ‘the full sentence technique’ and it’s a surprisingly simple method to use. It’ll save you the hassle of wasting time thinking of a new password when you get the ever demanding request from a website or system during a registration or log-in process. It works like this: think of an easy to remember sentence, phrase or a song. For example: My favourite diner is Sam’s at #2 Fake Street in Invisible Town. To convert that into a password you take the first letter of every word to create a password. In our example the password will be MfdiSa#2FSiIT. The expert in this attached article explains that most of the password hacking software is based on dictionary lists that contains words, phrases and combinations with numbers. By using this technique of taking only the first letter in a full sentence of your choice, you’re likely to significantly reduce the possibility of a password hack. I’m by no means a computer buff, but this method is guaranteed to be a vast improvement on my own rather “weak” attempts to create sensible passwords. I’ve often been reminded in the past that mine aren’t ideal when I’m faced with a password strength test and I’ve had to work harder at it; both to create them and then to remember them. If this full sentence technique will keep the bad guys guessing a little longer then I’m definitely going to use this method in future! There's an easy way to come up with a complex password that you won't end up forgetting five minutes later.